Different health insurance policies have a different list of day care procedures, which is covered under the policy. The list of day care procedures is easily available in the brochure of the policy which are available on the company’s website. Nitin, a 28 year old software developer, bought a health insurance policy 6 months ago. He made a well informed decision of buying a health insurance policy by understanding all the terms and conditions in a detailed manner. Two days ago, he started feeling swelling in his ear lobe with fever and irritation. After meeting with a doctor, mastoid air cells were found in his ear and he was advised to go for Mastoidectomy (a surgical procedure that removes diseased mastoid air cells) which would cost him around Rs 60,000 and the doctors told him that this process will take less than 24 hours. But Nitin wasn’t worried about the cost because he knew that the Mastoidectomy is covered under day care procedure of his health insurance policy. He went through the surgery and was able to make a successful claim for the same because he knew the details of his policy. Many people are not well informed like Nitin and are not able to take advantage of their health insurance policy and one such advantage is the cover for day care procedure. So let’s look at the various aspects of day care procedure under your health insurance policy through this article. What is a day care Procedure? All the medical treatment and diagnosis, which requires less than 24 hours for completion are known as Day care treatment. Such treatments don’t require a prolonged stay in the hospital. Most of the people are in the misconception that their health insurance policy will cover only those treatments which requires more than 24 hours of hospitalization. But that’s not true, as a day care procedure is an inclusion in your policy. What is covered under day care treatment? How to claim for day care procedure? The process of claim making for day care treatment is similar to regular hospitalization. You can either inform the insurance company in advance if you have a planned procedure and get cashless treatment or in other cases you can reimburse the expense later, after the procedure. The provision for pre and post hospitalization also remains the same. Why day care cover benefit is required? Even if the day care procedure takes less than 24 hours due to an advancement in technology, but it is still very expensive. Even going for a diagnosis which falls under the day care treatment can cost you a lot. So don’t be in the misconception that a single day hospitalization or diagnosis will cost very less and you don’t need to bother about it. So the biggest advantage of a day care cover is it saves money for such treatment. To make things more clear, here is the list of different day care procedures and its approximate costs in metro cities. What is the difference between Day care Procedure and OPD Benefit? Most of the people don’t know the difference between Day Care treatment and OPD (out patient Department) and it can result in confusion while making the claim because you will have no idea that whether your treatment or diagnosis falls under OPD or Day Care. For a day care treatment you need to be hospitalized even if it takes less time while in an OPD treatment, you don’t need any hospitalization and you get your treatment done just by visiting the hospital or clinic without being admitted. Under many policies it is clearly mentioned that in the case of day care procedure, if you go through a treatment as an outpatient (without being hospitalized), then your claim will not be considered.It is imperative to read the fine print carefully to avoid any hassles at claims stage. 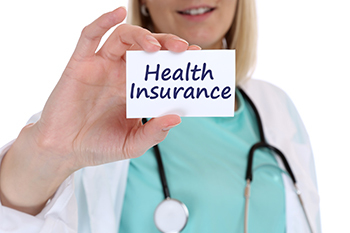 How to choose a Health insurance policy on the basis of Day care Procedures? While comparing different health policies on the basis of the day care cover, never go for the number of day care procedure covered under the policy. It is always better to look for the definition of the procedure under the scope of coverage. For example, some health products may offer to cover nose surgery while others will mention different types of nose surgeries covered under the day care procedures, which will increase the number of day care procedures covered in the plan. Most of the health insurance companies show a long list of day care procedures covered under their policy to attract customers. The broader the definition, the better the chances of your cover for day care. Which health insurance companies cover day care procedure? Having a cover for a day care procedure is very much necessary in the current era because even if it takes less time, the cost of such treatments and diagnosis can burn your pocket. So go through the day care terms and condition of your health insurance policy and get maximum benefit from it. The author, Harjot Singh Narula is Founder & CEO, Compare Policy.